The party was held in the dining room of the couple’s home at 726 Tenth Avenue. 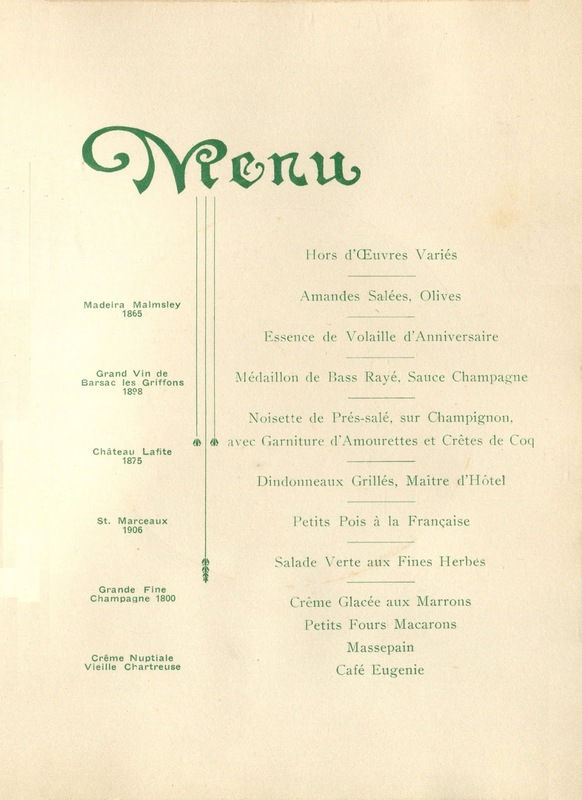 The initials “E.M.” are inscribed in the upper right of the front page, indicating that this copy—one of several menus that can be seen on the table—probably belonged to Eugenie. 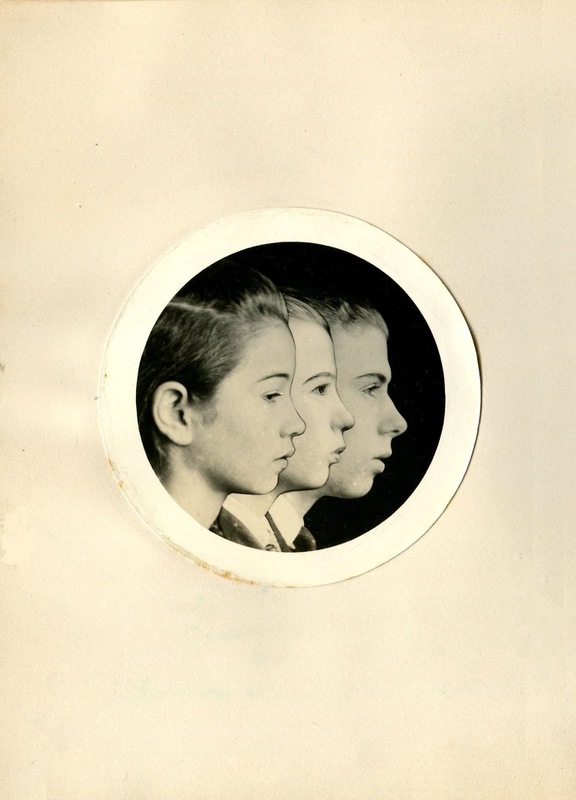 A composite photograph on the next page shows their three children in profile—Marcel, Irene, and Camille, Jr. The bill of fare reflects what you would expect to find at a French restaurant. There are three entrees. Medallion de bass rayé, or stripped bass, is followed by noisettes (d'agneau) de pré-salé, supposedly made with the loin of a lamb grazed in the salt meadows along the northern coast of France.1 Next comes dindonneaux grille, maitre d'hôtel, a grilled young turkey served with a Béchamel sauce with chopped parsley. The fine wines include an 1875 Château Lafite (sic), possibly one of the double magnums that can be seen standing on the table. 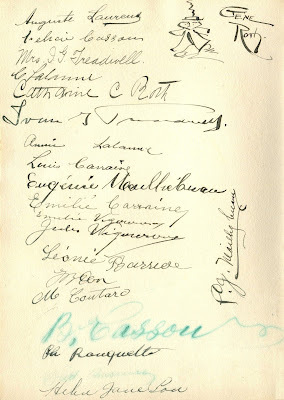 There are thirty-one signatures spread out over two pages, including the one with a photograph of Camille and Eugenie. The guests were mostly members of San Francisco’s vibrant French community, a close-knit group of restaurateurs whose lives had been intertwined for years. 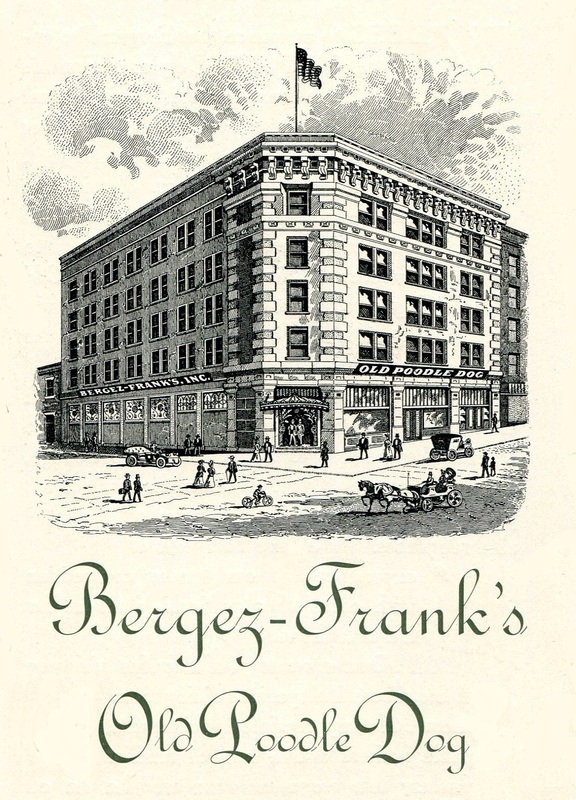 In the early 1900s, Camille Mailhebuau and Louis Coutard were partners at Frank’s Rotisserie on Pine Street. 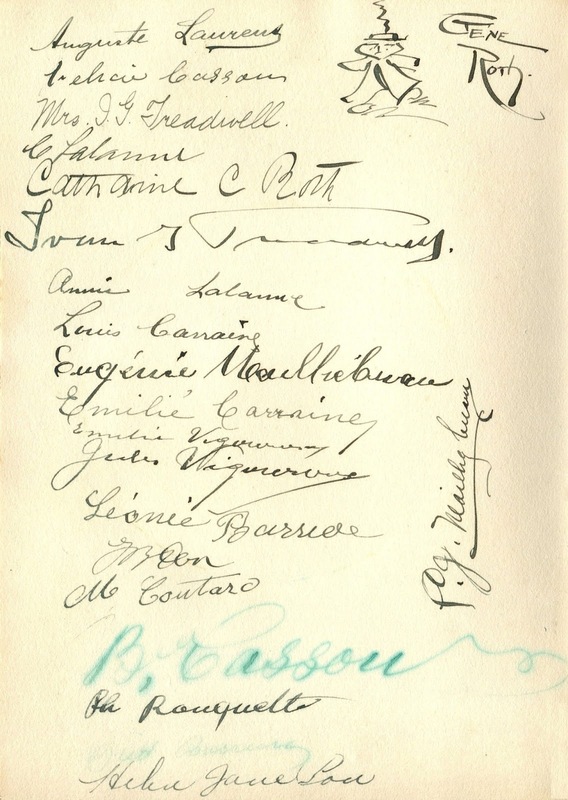 A few years later, Mailhebuau joined Auguste Laurens and Jules Vigoroux at the Lamolle House in San Jose. In those days, Jean Baptiste Pon and Calixte “Cal” Lalanne ran the Old Poodle Dog; Jean Bergez was then the proprietor of his eponymous restaurant. In addition to being friends and business partners, some of these men were related—Messrs. Lalanne, Coutard, and Pon were married to three sisters from France whose maiden name was also Lalanne. These restaurateurs banded together for many years, meeting the challenges posed by immigration, financial panics, earthquakes and fires. 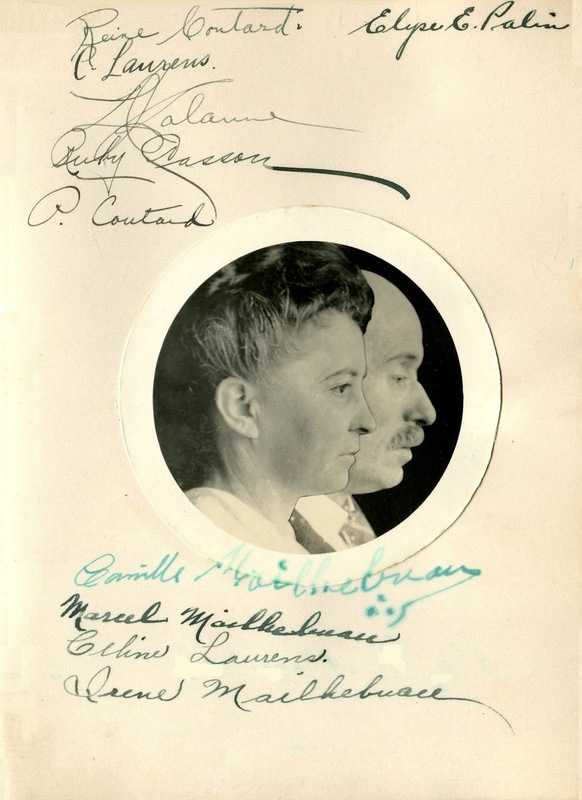 However, in February 1920, they encountered a seemingly insurmountable obstacle—Prohibition. Ratified the previous year, the Eighteenth Amendment had just gone into effect a couple of weeks earlier, prohibiting the manufacture, transportation and sale of alcohol. Unable to sustain operations without the sale of wine and other alcoholic beverages, many of the country’s best restaurants would soon be going out of business. 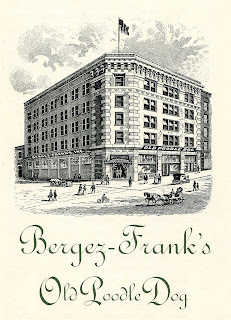 On April 15, 1922, Bergez-Frank’s Old Poodle Dog finally shuttered its doors, closing after having been an integral part of the city's social life since 1849. The answer to that question came soon after they returned. In April 1923, Camille’s Rotisserie opened at 441 Pine Street, just a few doors down from where Frank’s Rotisserie had been located before it was destroyed by the Great Fire seventeen years earlier.5 Dubbed the “the little Frenchman” by the local press, the diminutive (5 ft.-2 in.) restaurateur was a natural showman; the illustration on the cover of the menu below shows him holding a serving platter. On the back, there is a photo of the new restaurant, along with the names of his former establishments. While the cuisine at Camille's Rotisserie may have been a notch below his previous endeavors, the menu declares that it is the place “for the bon-vivant, epicure, gourmet and the man who appreciates good things to eat.” After Camille Mailhebuau died in December 1924, the eatery continued in operation for sixteen years under family management. The third decade of the twentieth century turned out to be a significant turning point in the history of American restaurants. 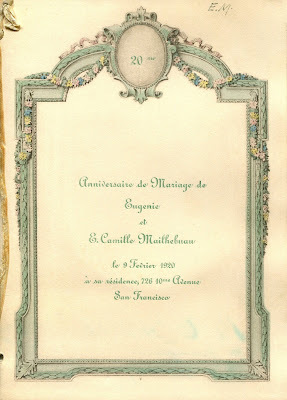 Yet, the French restaurateurs in San Francisco did not know the half of it in 1920. During the following year, just as the Old Poodle Dog was gasping its last breath, the first White Castle opened in Wichita, Kansas. Envisioning “the kitchen as assembly line, and the cook as infinitely replaceable technician,” the founders created the first fast food chain, selling sacks of small, square hamburgers from turreted stands. In an ironic twist, a McDonalds outlet was recently situated in the old building that once housed Camille’s Rotisserie. 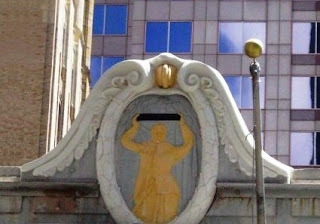 In fact, if you looked straight up, you could see the figure of Camille Mailhebuau carved in stone at the apex, still holding a platter high above his head. Sadly, this historic structure in the Financial District was torn down in October 2014. 1. In the spring, the pastures in France close to the sea are often flooded, causing the grasses to be rich in sodium and iodine, possibly the minerals that give the pré-salé, or “salt meadow,” lamb a richer (not salty) flavor. 2. 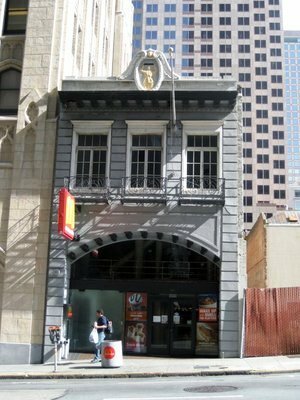 There was another restaurant in San Francisco named the Poodle Dog (without the descriptor “Old”) that was owned by Spanish-born Antonio Blanco and Italian-born Benjamin Brun. It was also destroyed in the Great Fire in 1906. 3. Louis Coutard died on 23 May 1908, only three weeks before Bergez-Frank's Old Poodle Dog opened. 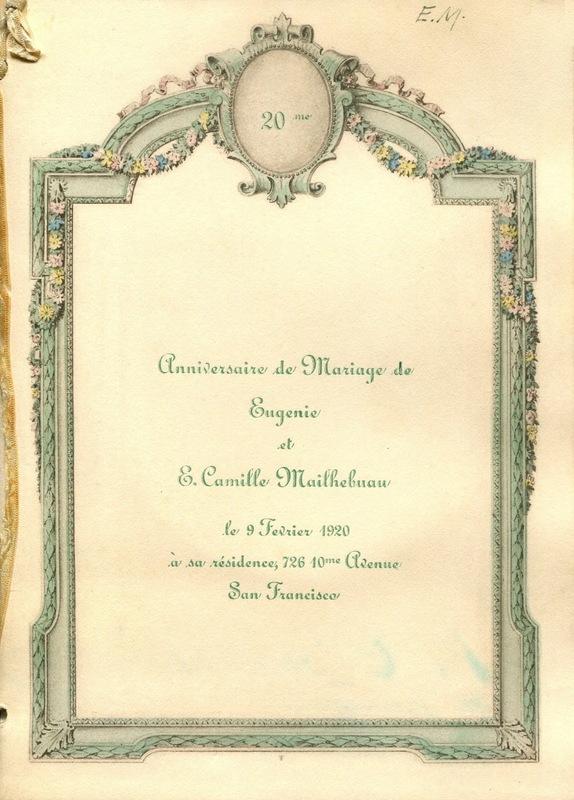 His wife, Maria, and children, Pauline and Reine, attended the Mailhebuau anniversary party in 1920. 4. 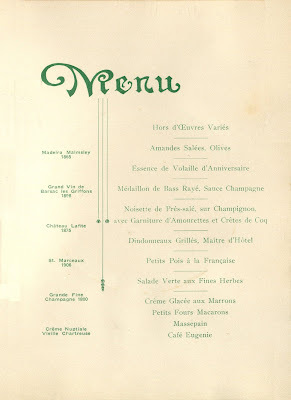 In 1933, with Prohibition ending, Cal Lalanne opened the Ritz French Restaurant at 65 Post Street in San Francisco. After he died in 1942, his son renamed the restaurant the Ritz Old Poodle Dog. 5. By 1923, the city's boosters changed the name of the Great Earthquake, still the country's worst urban catastrophe, to the Great Fire, reasoning that outsiders would find fire less alarming than the unpredictable rolling of the earth. 6. My thanks to Robert Brower and Erica Peters for their kind assistance. I don't think many people realize today what effect prohibition had on dining in the US. Most fine food has wine or spirits lurking in their beautiful sauces. Without it, the coloring box of flavors was sad indeed. Also, then as now, wine helped the bottom line... without it, the huge staff and fine ingredients were difficult to support. No wonder the party had a wee pall over the faces of the group -- they had seen the face of doom and the end was nigh. A wonderful post and a fascinating photograph! It's a wonder how you assembled all the menus and the photo as well. Very interesting, and that was an evocative image (from a number of standpoints). The dining room had a typically early 20th century "crowded" look (not because of the people). It's probably a continuation of the Victorian penchant for stuffed chairs, velours and the festooning of objects of all kinds. 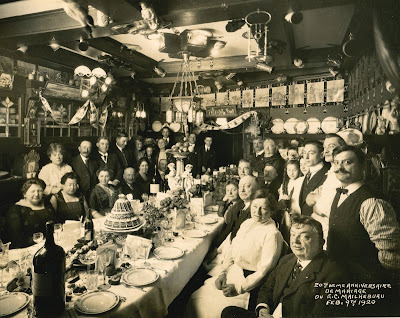 If you visit Tommy's Joynt in the same city today (venerable beer and food haven, at Geary and Van Ness), the atmosphere is somewhat similar: the wooden beams, the plethora of objects adorning the walls and ceiling, even down to the Germanic-looking beer steins. Different socio-economic contexts (honest beer tavern vs. plush bourgeois cove), yet Tommy's is the first thing I thought of when looking at the picture. Speaking of beer, on the menu of the Rotisserie, albeit by then firmly in mid-Prohibition mode, you see names of some famous brewers: e.g. Budweiser, Rainier, Schlitz. This puzzled me for a moment but then I saw the rubric "Cereal Beverages". Thus, surely these drinks were near-beer, non-alcoholic that is. Will Rogers said of such drinks that those who brewed them were a poor judge of distance..
What an utterly wonderful piece. About 60 years ago I made my first money working in my parents' restaurant outside Manchester (England). Not as good as The Poodle Dog, but in The Good Food Guide for 20 years. There is something about the trade that fascinates and never leaves you! Sadly, Camille's was just torn down today, except for the facade. Looks like they might leave it up as an entrance to a new building, but can't be sure yet.